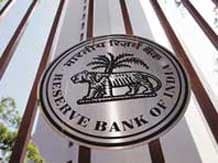 Volatility in the international and domestic financial markets has raised doubts among market participants on the possibility of an early interest rate cut by the Reserve Bank of India (RBI). Global markets have been volatile amid sliding crude oilprices and expectation of the US Federal Reserve raising interest rates sometime in 2015. The rupee fell to a near 13-month low on Tuesday and the weakness continued even on Wednesday, despite the central bank's occasional intervention. A sharp fall in Consumer Price Index-based inflation, RBI’s nominal anchor, had made market entities optimistic of a rate cut sooner than later. After raising the repo rate, the key policy one, thrice between September 2013 and January 2014, status quo was maintained in the next five RBI reviews. In the latest one, earlier this month, RBI opened the possibility of a cut outside the scheduled policy review date. However, the recent outflow of foreign funds is dampening early rate cut hopes, since such a move would increase the pace of outflow, in turn result in further weakening of the rupee. Data shows foreign institutional investors (FIIs) were net sellers for a sixth straight day till Tuesday. “There are early signs of growth pick-up and the import intensity of Indian manufacturing is high. Whenever imports pick up, growth of non-oil and non-gold items pick up. The imported costs of these items will go up if the rupee depreciates. This, in turn, has inflationary potential,” said Rupa Rege Nitsure, chief economist and general manager, Bank of Baroda. The rupee has depreciated by 2.6 per cent since the beginning of this month and currency experts see it weakening further as global uncertainty continues. Nitsure says RBI will weigh the benefits of lower oil prices against the increased imported costs of non-gold and non-oil imports. “Besides, it might not take a call on rates before the Union Budget, as fiscal consolidation is a prerequisite of effective monetary policy,” she added. The two-day US Fed meeting concludes on Wednesday night and traders are exercising caution ahead of it. The rupee weakened for a third straight day on Wednesday to close at 63.62 to the dollar, compared with Tuesday's close of 63.54. It had ended at 63.70 on November 12, 2013. “In the US Fed's minutes of their meeting, if there is some statement about hiking rates or any other hawkish statement on interest rates, it might lead to more FII outflows, due to which the rupee could weaken further. It might not (though) touch 65 a dollar in the near term because there will probably be RBI intervention,” said Suresh Nair, director, Admisi Forex India. Experts believe if the rupee drops further, RBI might act as it had done in 2013. “Whenever there is a heightened level of volatility in the foreign exchange market and there are outflows from emerging markets on a sustained basis, we have always observed that both the government and RBI tend to become cautious,” said Dhawal Dalal, executive vice-president and head of fixed income at DSP BlackRock Mutual Fund. Though RBI kept the repo rate unchanged at eight per cent earlier this month, the Consumer Price Index (CPI)-based inflation target was revised to six per cent by March 2015. Earlier, the target was to achieve eight per cent by January 2015. Retail inflation rose 4.38 per cent year-on-year in November, the slowest pace since January 2012. “With inflation falling, an improved macroeconomic landscape and rate cut expectations in the next two to three months, FIIs might not be in a hurry to sell Indian fixed income assets. Having said that, we agree a lot will depend on the future behaviour of the currencies,” added Dalal.